Today is your lucky day! You get 2 quilts in 1! 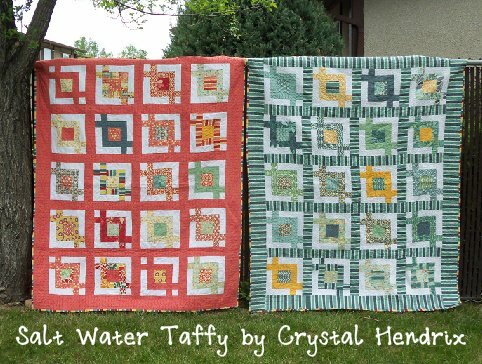 We love that this tutorial gives you a his and hers set of quilts at once! In addition, this tutorial makes life easier by using charm packs and jelly rolls. Time to get started! "Being from Utah and home of the Great Salt Lake, what do we have a lot of? Salt Water Taffy! 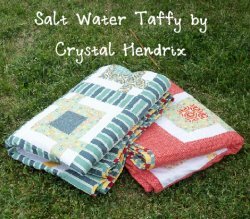 So when I saw that there was a line that was called, Salt Air and was full of bright colors, what else could I think of, Salt Water Taffy! I’m pleased to bring you not just one, but TWO twin-size quilts! Amazing what you can get from a single jelly roll! Enjoy!"